The contract firms up a memorandum of understanding PAL signed with Airbus for the A350-900s on February 17, during the Singapore Airshow. Airbus and the carrier waited a day to announce China Eastern’s A350-900 publicly because on April 28 the airline announced an order for 15 Boeing 787-9s which it had placed at the same time as its Airbus order. Flown by Test Pilots Mark McCullins and Bruce Macdonald, the A321 (which is destined for JetBlue Airways) took off from the Mobile Aeroplex at Brookley in Mobile, Alabama at 9:36 a.m. local time on March 21. The delivery makes IndiGo, which is India’s largest airline in terms of passenger numbers, the first A320neo operator in India and in Asia. It also makes IndiGo the second customer, after Lufthansa, to take delivery of an A320neo. The first aircraft off the Airbus A320-family final assembly line in Mobile, Alabama has emerged fully painted from the paint shop. Philippine Airlines has signed a memorandum of understanding with Airbus to order six A350-900s and take purchase options on six more. The A321neo’s maiden flight lasted five hours and 29 minutes, during which tests were performed on both high and low engine speed variation and on systems behavior. Tests were also performed during the first flight to validate the aircraft’s flight envelope. The Japanese company will take delivery of the A380s from 2019. 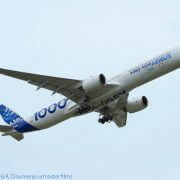 ANA Group has selected Rolls-Royce Trent 900 engines to power its new A380 fleet. Lufthansa, the namesake flagship airline of the Lufthansa Group, has taken delivery of the first customer A320neo. The occasion also represents the first delivery of Pratt & Whitney PurePower PW1000G-family geared-turbofan engines to any operator. Turkish Airlines has firmed a commitment to order 20 additional Airbus A321neo aircraft, to add to 72 it already had on order. 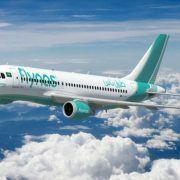 Airbus has received joint type certification from the European Aviation Safety Agency and the Federal Aviation Administration for the version of the A320neo single-aisle jet powered by Pratt & Whitney PW1100G-JM geared-turbofan engines. UK-based low cost carrier easyJet has signed a firm order for 36 more Airbus A320-family aircraft, taking its cumulative order for A320-family aircraft to 451. The order was signed at the Dubai Airshow 2015 on November 10 by Nguyen Thi Phuong Thao, Vietjet’s president and CEO; and John Leahy, Airbus’ chief operating officer, customers.